Just fill these mooring bags with sand and clip them onto your boat cover's tie down loops. 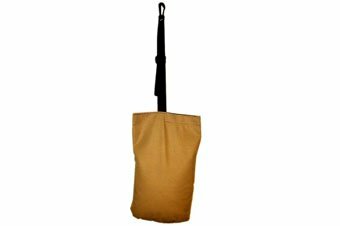 These bags will work to hold your cover down while your boat is being moored. Simply affix them onto your boat cover's tie down loops with their attached straps. The strap's adjuster buckles will allow you to keep the bags at a safe height. Bags are sold in packs of 4. Made in the USA by CoverTuff. These are in stock and can ship today! These bags will work with any boat cover that features tie down loops, including the ones we offer by both Carver and Westland.